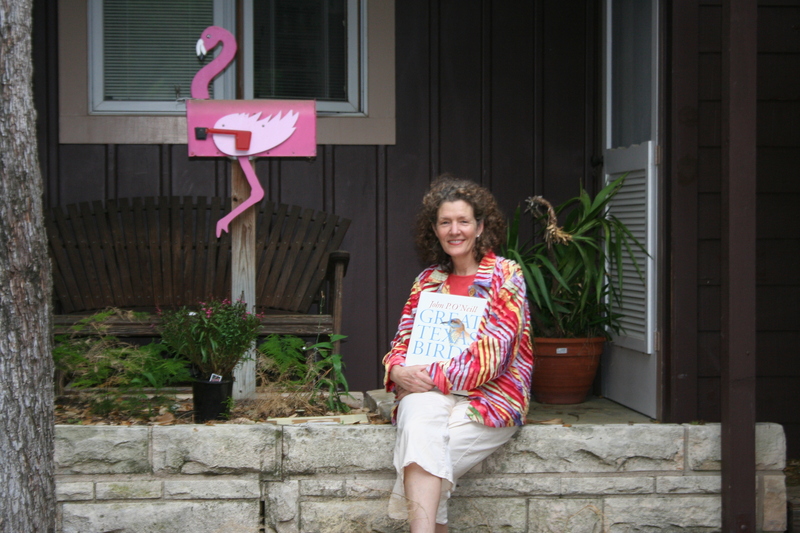 On the front porch of her new home, with the much loved and noted Flamingo mailbox. It was a typical Saturday afternoon for Maureen Milligan of Austin, Texas. She was driving down Burnet hitting up her regular weekend haunts when she came across an Amber Ostrich estate sale sign. At first she didn’t want to stop, having never been to an estate sale before, she said she thought it would be formal, like an auction house. But then, “something made me go back,” she said. Milligan followed the signs twisting and turning until she came to the estate sale and when she entered the home and began examining the items for sale, she began to feel an honorable connection to them. “I felt this great respect for them (the previous owners),” Milligan said. Shortly after, she contacted the Realtor in charge of the home’s sale with a phone call. A month later, she found herself in a bidding war for the home she felt so strongly connected to. Fred and Marie Webster were original Austinites, having lived in the home on Strass for over 50 years. 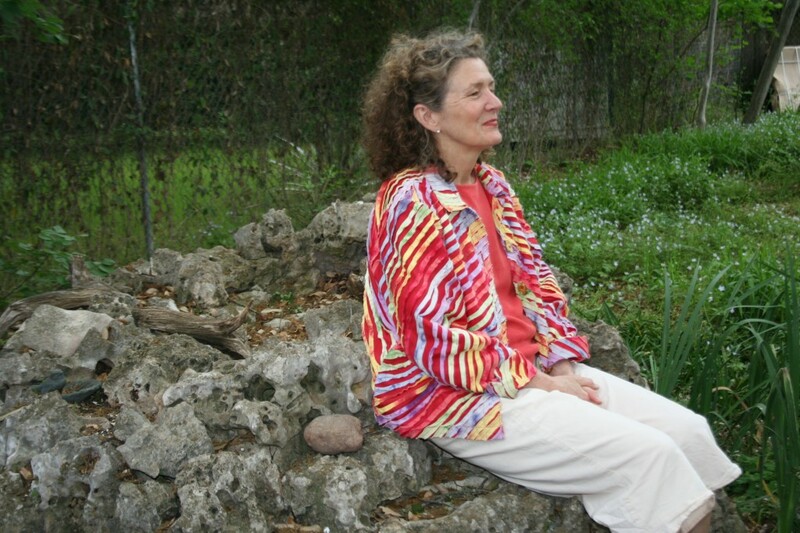 They loved nature and in that way were similar to many of the current Austinites. They also felt very close to their community. Marie’s brother, Fred’s brother-in-law, Fred Sternenberg and his wife were executors of the estate. Sternenberg said his sister and brother-in-law were very active in the community and loved the environment. “They were aware of the environment and the needs of other people,” he said. The Websters were active in their church and charity organizations. Fred Webster was a UT professor and published author. He wrote non-fiction accounts of his work in the bird watching community. 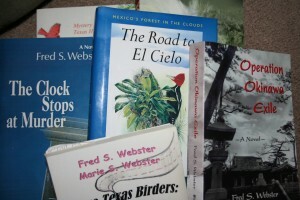 Fred and Marie spent much of their lives working with birds along the Texas coast, Brownsville, and into the Mexican mountains near El Cielo. The Websters escorted tour groups down to Mexico in order to study the flora and fauna in the Mexican mountains, even working with the Mexican government to provide housing and roads to get in to the areas they wished to study. Fred Webster first book was about these adventures, named The Road to El Cielo: Mexico’s Forest in the Clouds. He also wrote fiction mystery novels, but most of his books were themed with birds, bird watching or nature. Milligan wasn’t even actively looking for a new home when she happened upon the Webster’s home. She had been saying for five years or more that she would like to buy a new home. But when she came to the Amber Ostrich estate sale, Milligan knew it was going to be HER new home. As she searched through the house buying things from the Webster estate, she began to feel as if she knew the Websters in some way. She bought several items from the estate sale. Some artwork, a cigar box nightlight with a bird on it, and books. 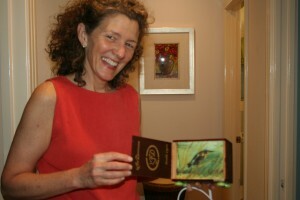 One of the items she bought was a painting with a Kentucky Warbler. This held a special meaning for Milligan. A few years ago in 2011, during the Bastrop fires, Milligan said she came upon a Kentucky Warbler in real life. It was disoriented, probably from the fires, and she was able to hold it for a little while until it flew away. When she saw the painting, she remembered that moment and knew she had to have the painting. Just like the home. Milligan said her connection to the Webster home wasn’t just about the house, but about them and their things. An animal lover herself, she knew she would find peace in their home. And so far, she says, she has. Sitting in the back garden area, of her new home. 2 Responses to Estate Sale Shopper Falls in Love with House, Becomes New Owner! wow, such a great story. Just to be able to afford a house in austin these days, and then to get the one you fall in love with is such a great task. cheers!